Who is Our Lady of Fatima? The first angelic visit – Spring 1916: The Angel teaches the shepherd children how to pray. 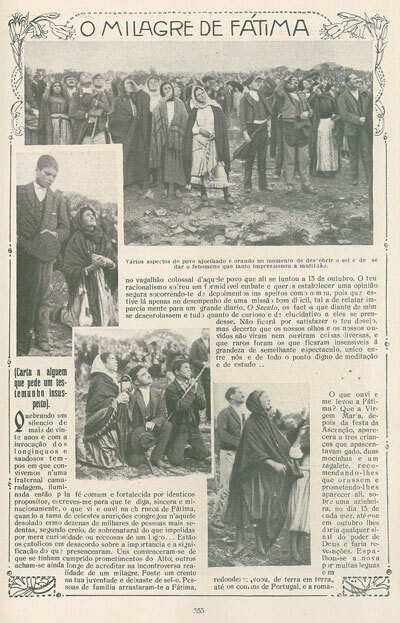 The second angelic visit – Summer 1916: The Angel reveals himself as the Angel of Portugal and motivates the children to continue praying and to offer as a sacrifice their suffering to the Lord. 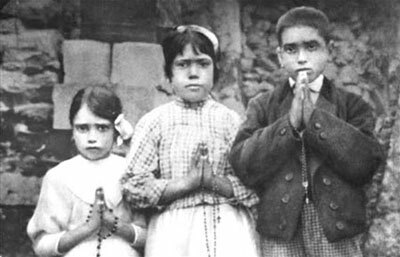 The first Marian apparition of Fatima – May 13th 1917: Mary asks the children to return on the 13th each month for 6 months. Mary tells the children they will suffer much, but will reach Heaven. She then asks the children to say the rosary every day to bring peace to the world. 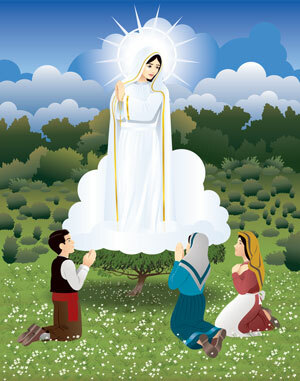 The fifth Marian apparition of Fatima – September 13th 1917: A crowd witnesses white rose petals falling from the sky and then disappearing as Lucia asked Our Lady of Fatima to cure the sick. She replies that only some will be cured while the Lord “has no confidence” in others who were not healed. What happened to the shepherd children? Mother Mary continued to appear to Sr. Lucia many times, but three particular instances stand out. A vision of the souls in Hell. Prediction of the end of WWI and a prediction of the beginning of WWII as well as a request to consecrate Russia to the Immaculate Heart of Mary. A vision of the Pope, along with other bishops, priests, religious and lay people, being killed by soldiers. Pope Benedict XVI, then Cardinal Ratzinger, cautioned the faithful against reading the third secret in a way that predicts a future event. Many theories arose around the publishing of the third secret, and Cardinal Ratzinger responded to these theories by saying. The most notable celebration of the Fatima centennial will no doubt be the canonization of two of the visionaries of Fatima, Francisco and Jacinta Marto, as saints by Pope Francis during his visit to Portugal. 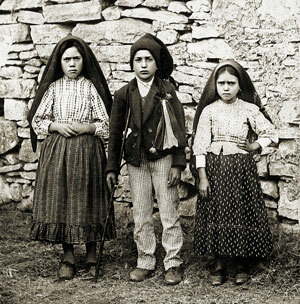 Excluding martyrs, Francisco and Jacinta will be the youngest saints ever canonized. It will take some time before Lucia can be canonized as she was much older and lived a longer life filled with works and writings that must be reviewed before the Church can declare her a saint. Many parishes and diocese all around the world are planning special celebrations to commemorate this 100th year anniversary of Our Lady of Fatima. Here in our own Archdiocese of Portland, in Oregon, Archbishop Alexander Sample will preside over a Fatima celebration, following a pilgrimage from five different locations throughout Portland, which will converge on St. Mary’s Cathedral of the Immaculate Conception. Our Lady of Fatima urgently desired for all of faithful to pray daily for the salvation of poor sinners, and for the whole world. That message from Our Mother Mary is a challenge – no matter where you are in your own personal prayer life – to go deeper, to pray often, and with greater fervor. Some of us may not pray all that often except when in great need. Now, on this 100th anniversary of the first appearance of Our Lady of the Rosary, perhaps it is time to dust off that rosary that has been sitting on the shelf since it was received at Confirmation. Others of us may have a deep devotion to the rosary already, in which case the message of Fatima calls us to approach our prayer life with a new ardor. This new ardor would look differently for each individual, but may include things like adopting new devotional practices, recommitting ourselves to attentiveness during times of prayer, or perhaps even increasing the frequency of times dedicated to the Lord and Our Lady in prayer. For those looking to adopt new or deeper devotional practices I’d like to suggest the following treasures of the OCP catalog. I say this not simply to highlight some of our products, but because I personally own three of these prayer resources and find them to be tremendously helpful. I’ve written a little review of each one. Each of these books also includes the mysteries of the Rosary and an explanation of how to pray the Rosary. This book is a wonderful collection of blessings for any occasion births, deaths, sickness, new job, new house… name an important moment of life and this book has a blessing for it. This prayer book has been a way of directing all the events of Christian living back to God. You may not be able to consecrate Russia to Our Lady, but these blessings can certainly help you to consecrate your life in Our Lady and through Our Lady to the Lord. Another excellent resource for a variety of prayers. This book includes a scriptural rosary with a verse citation for each mystery. There are also several other Marian devotions such as the Litany of Loreto and a beautiful prayer from our Byzantine Rite Catholics called the Acathist Hymn. Fr. Edmond Bliven really did a fantastic service to the Church in collecting these prayer texts. This very economical prayer resource (it’s only $2.00). Along with the most common prayers and devotions, it contains all the mysteries of the rosary along with scripture references and a brief reflection for each mystery. This is a splendid little resource that is very beneficial for an individual, but also fits in the pocket on the back of hymnals or can be placed in pew racks. This is a great and cheap opportunity to draw a community deeper into a richer prayer life. A Contemplative Rosary is like the Catholic Prayer Supplement in that it can be enriching for an individual as well as a community. You can pop the CDs into your car and pray along with the rosary at any time – without taking your hands of the steering wheel. I’ve found this a helpful way to “baptize your commute” traffic can drain the human heart of charity, but driving along with Mama Mary can truly transform the nature of your commute, and you attitude when you get where you are going. A Contemplative Rosary also has a leader’s guide, and a CD-Rom with beautiful religious art to go along with your prayer time. 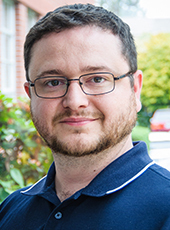 These communal options can be used in a variety of ministerial settings. I hope that these prospects might help you to respond to the call of Our Lady of Fatima to run to her in prayer. Even if you don’t avail yourself of these resources. Please do take this opportunity on the Centennial of Fatima to do penance and pray. Not at my request, but in response to the call of Our Mother Mary. I’ve also included a list of 10 songs below to celebrate 100 years of Fatima and to help draw us deeper into a relationship with the Mother of God. The Centennial of Our Lady of Fatima will culminate on October 13th this year. Keep these songs and prayers in mind over the next 5 months. Share them on social media, email them to friends, text them to your relatives. Help spread Our Lady’s message in any way you can for poor souls and for the whole world. O my Jesus, forgive us our sins, save us from the fires of hell, and lead all souls to heaven, especially those most in need of Thy mercy.